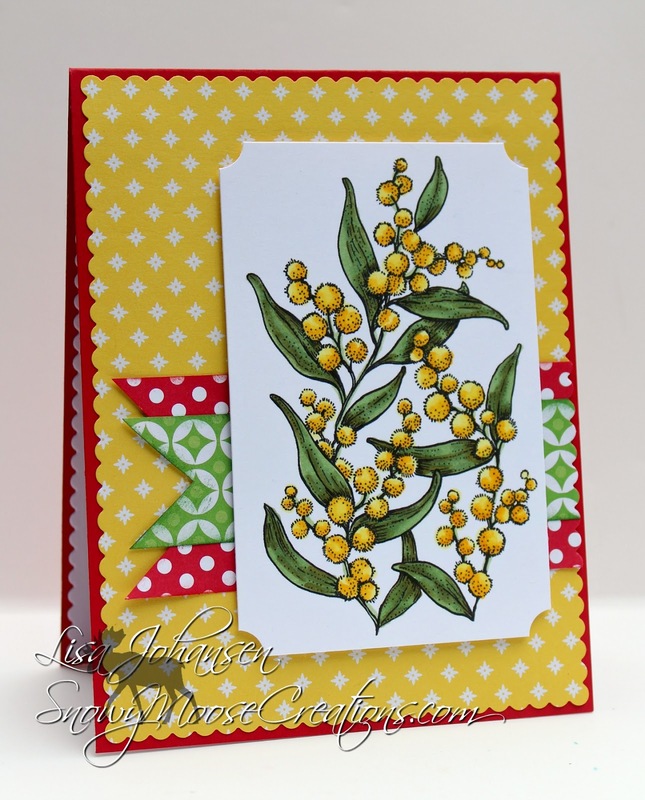 This Hues to Use has red, yellow and green and I decided to use the digital stamp Bubbles and Fizz, which was just recently released. 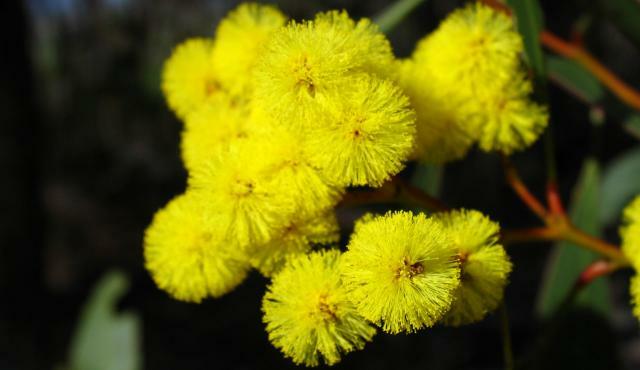 The image is of Golden Wattle, which is a plant I had never heard of before. I did some research online and it is native to SE Australia and has gorgeous yellow flowers. They actually reminded me of pom poms as I looked at various images of the flower. It is considered a shrub and blooms from August to October. Very cool to learn about! When I colored the image I went with a more rich yellow, like the curb in the photo. 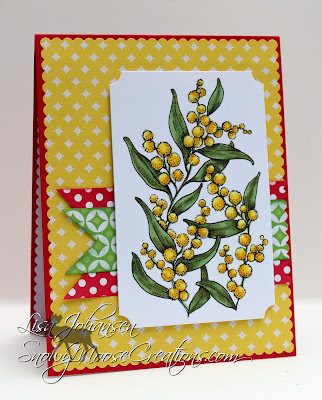 To bring in the red I made my card base red and then also added a red banner. The green was also brought in by way of a banner and with the leaves. Now this says spring!!! I like the colors, fish tailed ends and oh great coloring. 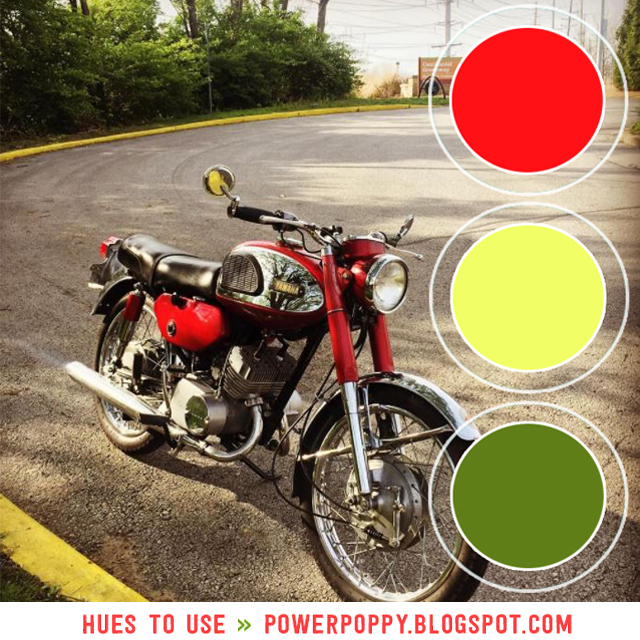 Thanks for playing in our Hues to Use!